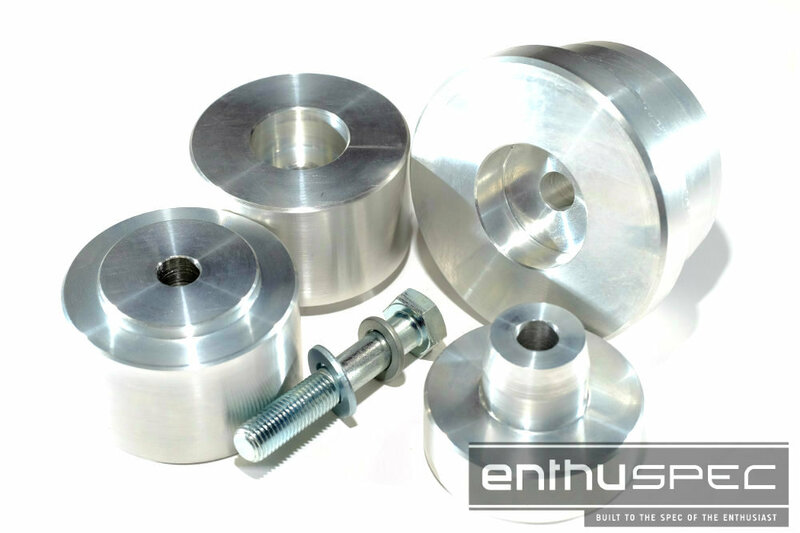 Enthuspec Differential Mounts for the Hyundai Genesis Coupe The OEM Factory bushing used in the subframe is very soft and flexible. The differential moves alot under hard accelerations and driving conditions. Most of that flex is pivoted off the driveshaft rear yoke, thus making the front of the differential to dip down and twist. 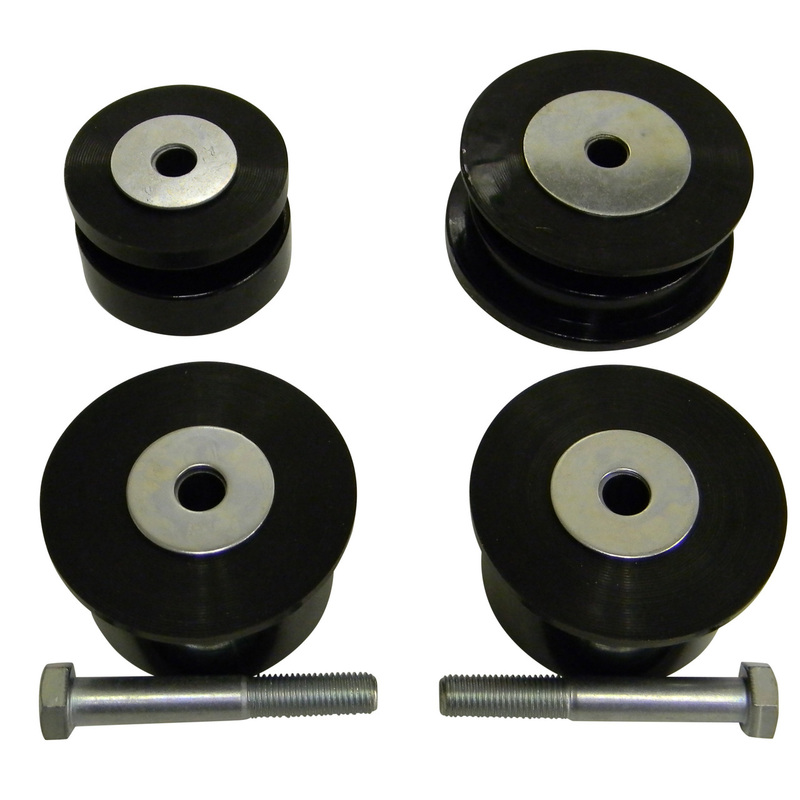 These bushings solidly hold the differential to the subframe, eliminating the unwanted movement and help with wheel hop to get the power to the ground. 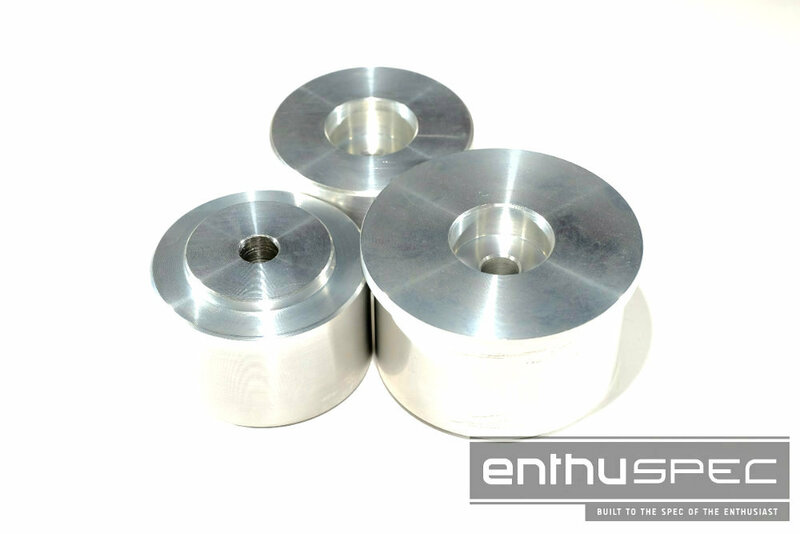 Bushings are CNC machinced aluminum for precision fitment. Designed for racing purposes where noise and vibration is a trade off for performance. T6061 Aluminum Eliminates sloppy factory bushing Made in the USA Eliminates differential twisting and dipping on hard accelerations Fits 2013+ subframes only Designed for Racing purposes Track Use ONLY!